As a component of lecithin and phosphatidylcholine, choline chloride plays an important role in constituting cell structure and maintaining cell function. It can regulate the ratio of lipids in lipoproteins and the transport rate of lipids in the body, and affect fat metabolism. Fat accumulation in the liver and kidney and tissue degeneration. Both methionine and choline are chicken methyl donors, but the amount of methylcholine supplied by choline is three times higher than that of methionine. When the supply of methionine in the diet is insufficient, choline can replace part of methionine, thereby improving the utilization of nutrients such as protein. Therefore, in the laying hen culture process, choline chloride is used as a vitamin additive, and it is added in a high-energy feed mainly composed of corn, which can improve the egg production and egg quality of the laying hen. In order to study the effect of adding different proportions of choline chloride on the production performance of laying hens in the full-price feed of laying hens, master the optimal ratio of adding choline chloride in the diet to improve the production efficiency and economic benefits of laying hens. This special study is carried out. The content is 50%, produced by Kangdali Animal Husbandry Technology Co., Ltd., and purchased once in a lump. 250 healthy and normal 168-day-old Nick T light-shell shell hens were provided by Kangdali Co., Ltd.
From September 16th to November 18th, 2013, a total of 63 days, of which the pre-test period is 1 week and the trial period is 8 weeks. The test was carried out in the same chicken house and the equipment was a full-step metal egg cage. The average temperature in the trial period was 19.7 ° C and the average humidity was 71%. 250 laying hens were randomly divided into 5 groups (ie, control group and trials 1, 2, 3, and 4 groups), with 50 hens in each group. There was no significant difference in egg production rate between the hens in the pre-test period (p>0.05). The actual amount of choline chloride is converted into 0.06%, 0.08%, 0.10%, and 0.12% of the pure amount  (that is, 0.12%, 0.16%, 0.20%, 0.24%, respectively, 50% of choline chloride is added. Commercial premixes were added to the diets of each test group (see Table 2). 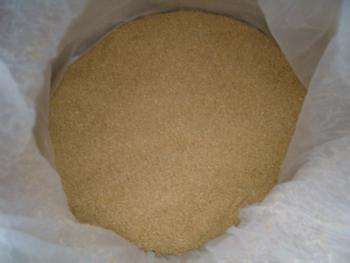 The mixture is evenly distributed, and the feed is 110 g/day, and the feed is fed regularly and fed freely. Feed the chicken twice a day, hand feeding, free feeding and drinking water, squirting the stool once a day, the illumination time is 16h/d, the illumination is 3~4W/m2, and the ventilation is good. Wipe the sink once a day and do a good job of cleaning the house. The temperature and humidity are measured once in the morning, in the middle and at night. Record daily consumption, egg weight, egg production rate, percentage of broken shell abnormal eggs, etc. And diligently observe the mental state of the flock, feces, food intake. In this trial, the mean egg weight difference of each group was not significant (p>0.05), which was not excluded from genetic factors. However, the quality of eggshells in groups 1, 2, 3 and 4 was significantly better than that in the control group, and the number of broken shells was lower than that in the control group. This indicates that choline chloride has the effect of improving the quality of eggshells. There was no significant difference in the number of dead pigs in each trial (p>0.05). In this experiment, the addition of 0.06% choline chloride to the laying hens increased the egg production rate by 6.64 percentage points. The results of the other indicators were not significant (p>0.05). Based on the comprehensive factors, we believe that the best effect of adding 0.06% choline chloride to the diet of laying hens is the best. .
Summary: Adding a certain amount of choline chloride to the laying hen feed can not only improve the egg production rate of the chicken, but also improve the feed remuneration of the laying hen, and it is also beneficial to the health of the chicken; it can significantly improve the economics of the laying hen. benefit.